Adjectives is a constantly evolving place. We love to meet people with inspiring new viewpoints. Most of all, we’re excited to provide a platform for sharing your creative vision with our customers. Becoming an Adjectives Teacher is rewarding both personally and professionally. Our community of creatives is dedicated to helping each other succeed. Are you interested in teaching your creative skills to Adjectives customers? 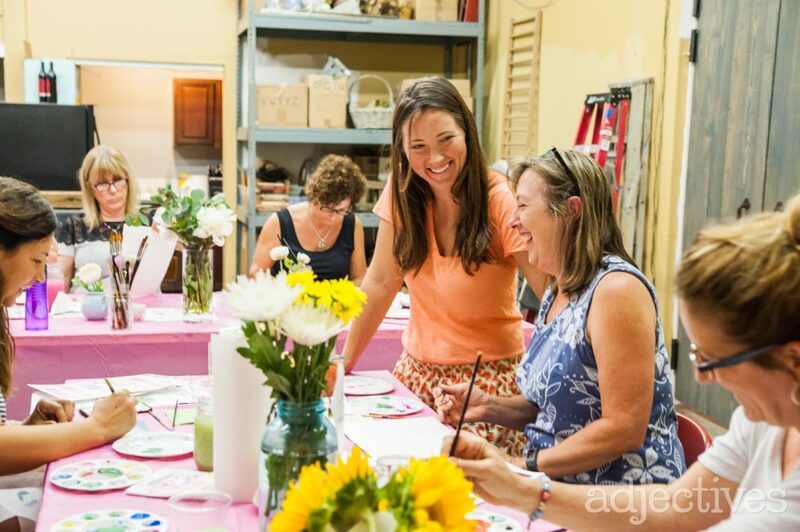 We offer monthly classes about furniture painting and refurbishing, watercolor techniques, mixed media painting, photography, jewelry and more. If you think you’ve got what it takes, can offer something unique and engaging, and believe our customers would love your class, fill out this form.